Available in a 130g or a 300g recycled plastic jar, Salted Coconut is a thick and creamy sea salt scrub infused with glycerine, fresh lemon infusion, silken tofu, Japan wax, argan oil, cupuaçu butter, and coconut oil. Although the product is advertised as a hand scrub, it works wonderfully all over the body. 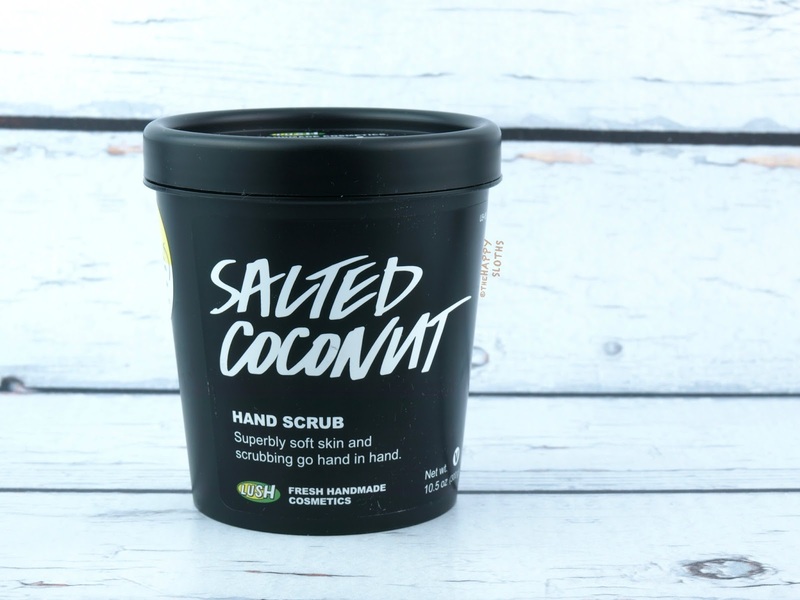 Unlike the Lush Ocean Salt body scrub which is a bit too fine and left behind a noticeable residue, Salted Coconut is tightly packed with chunky sea salt particles that do an amazing job at exfoliating the skin. The scrub has a salty lemon fragrance with just a hint of coconut and it leaves the skin soft, moisturized, and super smooth. 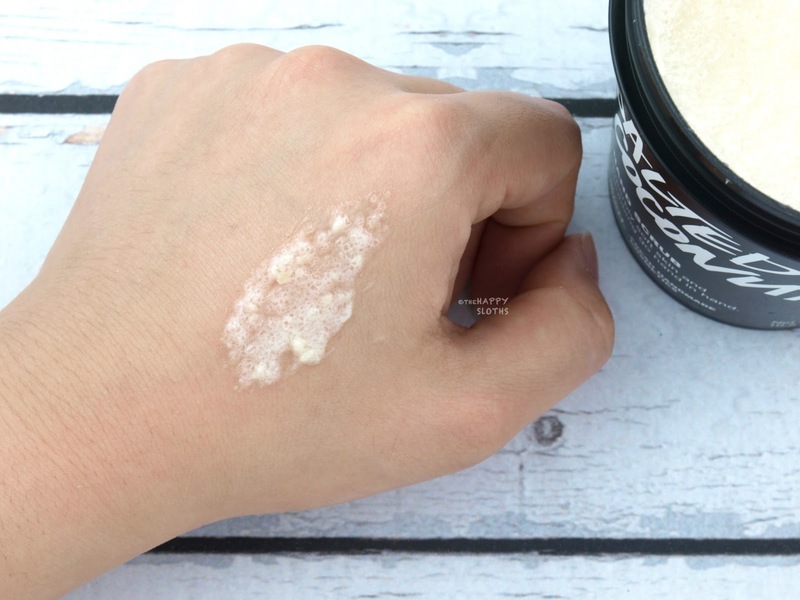 The formulation doesn't leave behind any heavy or greasy residue yet you definitely don't need to follow up with a lotion unless you have very dry skin. 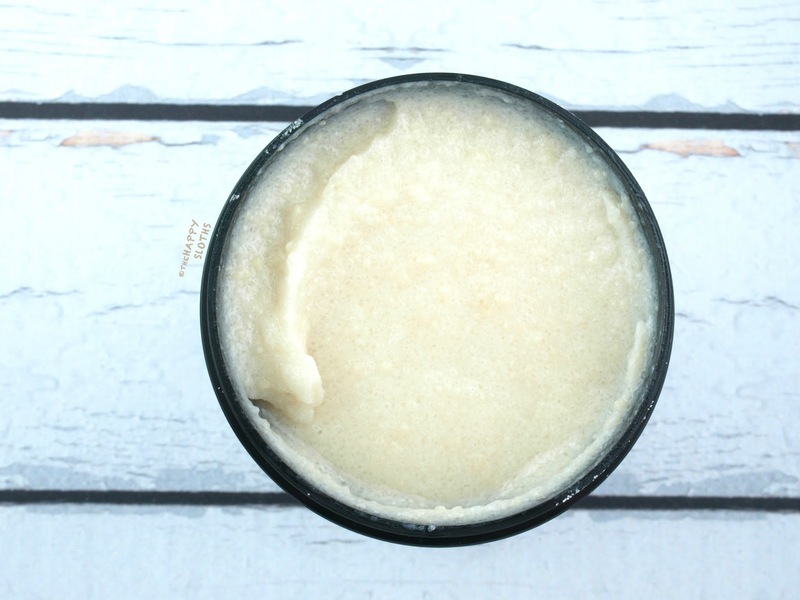 Simply put, this is an amazing hand and body scrub that's potent and lightly hydrating. If you've been looking for a good scrub from Lush, look no further!